Promotion 2 days at special price ! Shared transport to Copacabana. We start in La Paz ( or Puno ) 3640 meter altitude and we drive to Lake Titicaca (3810 m.). We cross el estrecho de Tiquina by small boat, the part between lago Menor (Wiñaymarka) del lago Mayor (Chucuito), to reach península Copacabana, where you can see manny precolombian terrases. 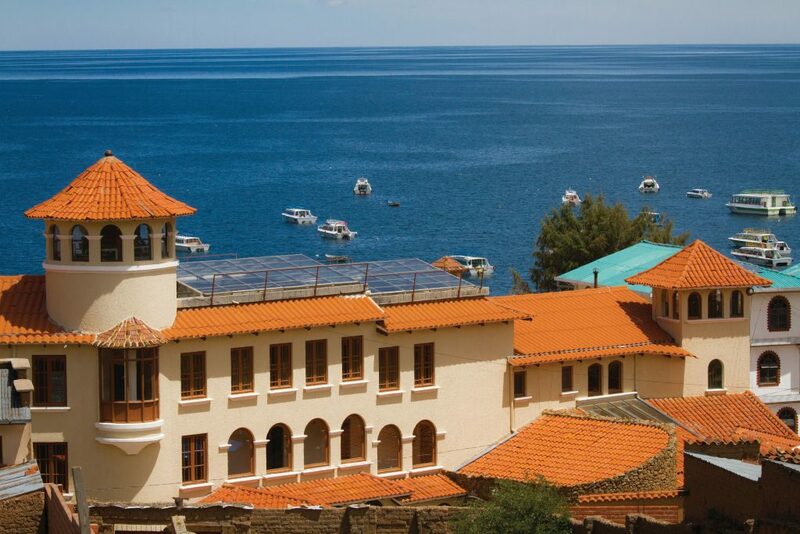 We reach Hotel Rosario Lago Titicaca. 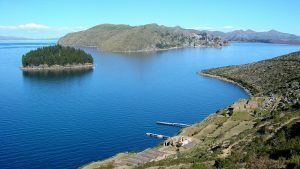 We recommend to lunch at the Kota Kahuaña restaurant (not included) After lunch we go by motor boat to Isla del Sol, to the south part of the island. We visit temple Pilkocaina and we walk tot he village of Yumani where we have an amazing look over the lake and the Cordillera Real de los Andes. We walk down over the sacred stairs and look at the sacred fountain of the Incas. Than we return by motorboat to Copacabana. Where we sleep at Hotel Rosario Lago Titicaca.